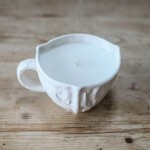 These Candle Cups give Clare’s cups another unique twist. 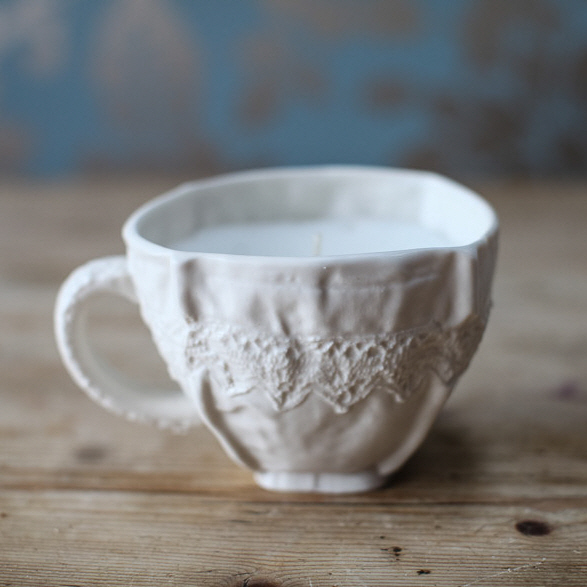 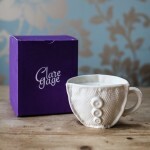 One of Clare’s stunning cups filled with Beautifully fragranced wax. The Button Cup has a lively Pomegranate Fragrance. 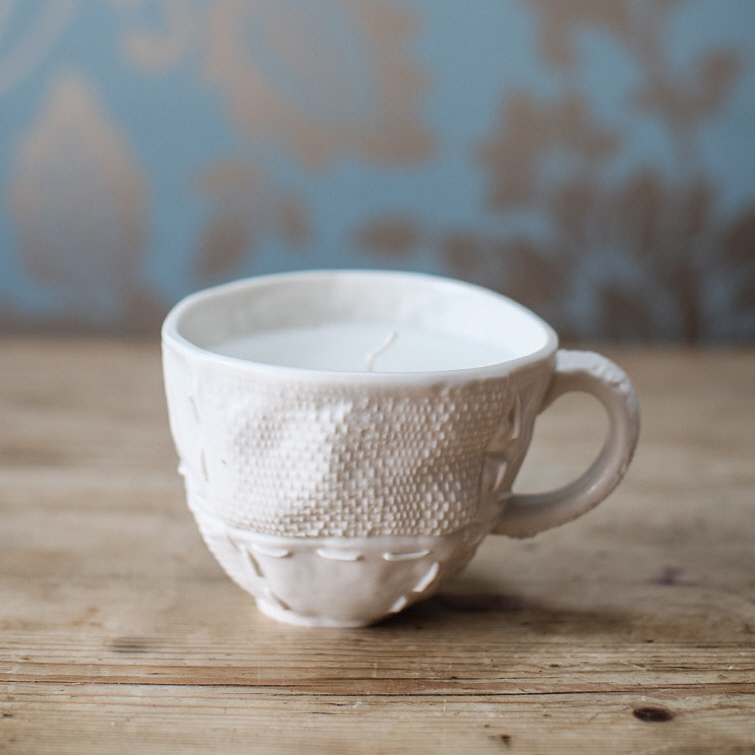 Not only do these candles smell absolutely gorgeous but they look beautiful when lit as the candle light shines through the translucent porcelain. 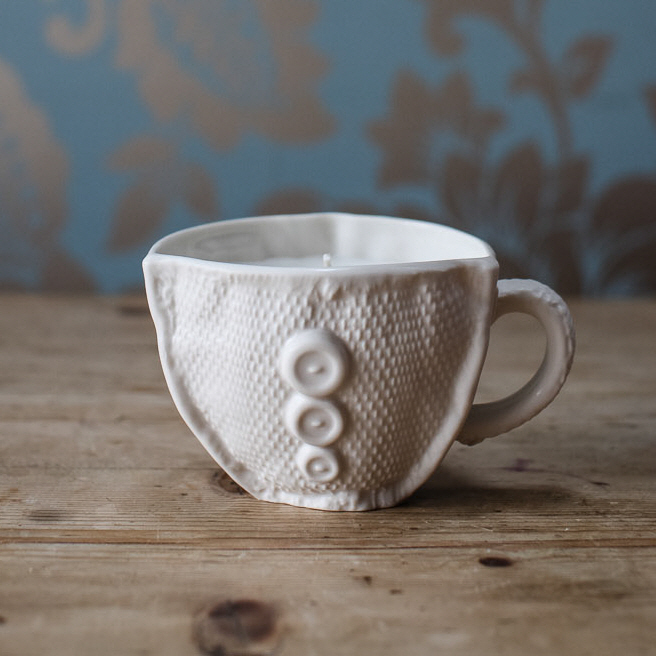 Each cup has been slip cast in a mould taken from an original fabric cup. 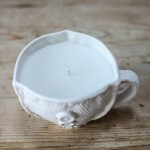 It has the appearance of woven and plain fabric panels that have been stitched together. 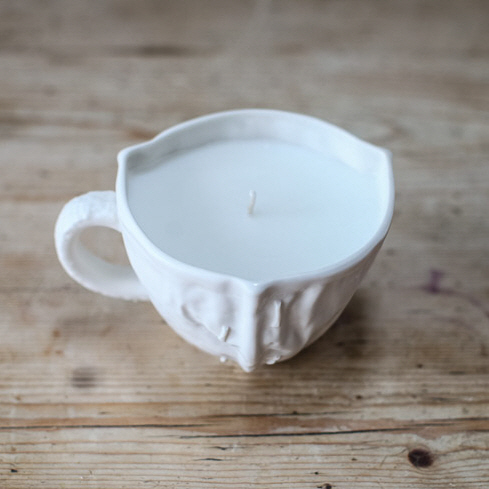 These cups are never perfectly round and capture the essence of the handmade spirit.